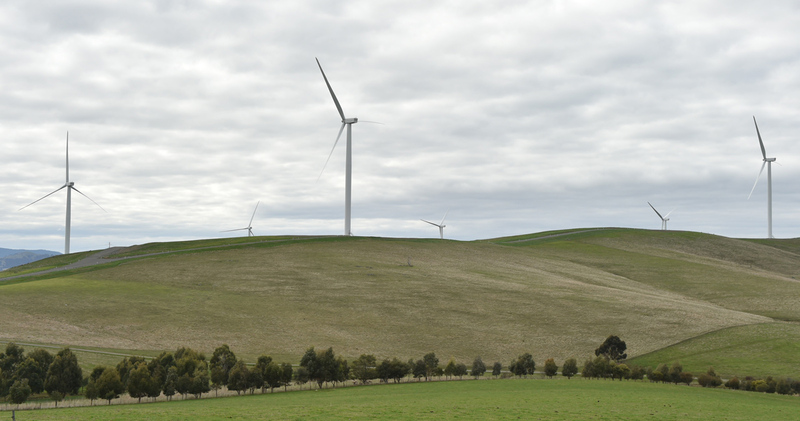 Victoria has edged closer to achieving its 25% renewables target by 2020 with the official opening of the Ararat wind farm. Developed by Renewable Energy Systems (RES), the 240MW wind farm is the third largest in Australia, capable of generating enough electricity to power over 120,000 homes across Victoria and the ACT. Victorian Premier Daniel Andrews, who attended the official ceremony that marked the commencement of operations, said the Ararat Wind Farm will not only produce clean green electricity but support the regional and local economy as well. “We’ve been proud to back the Ararat Wind Farm every step of the way. This project is not only delivering the clean energy we need but helping to power new jobs in Western Victoria,” Mr Andrews said. Designed for a life span of 25 years, the $450 million Ararat wind farm includes 75 GE 3.2-103 wind turbines, 70 of which had been erected within the Ararat Rural City with the remaining 5 located within the Northern Grampians Shire. Acting Minister for Climate Change and Sustainability Mick Gentleman noted that 27 of these wind turbines are supported by an ACT large scale feed-in tariff. “Ararat wind farm, which was officially opened today, has started feeding renewable electricity into the grid and will contribute towards the ACT achieving its 100% renewable electricity target. It is pleasing that the almost two year construction period has now been successfully completed,” Minister Gentleman added.